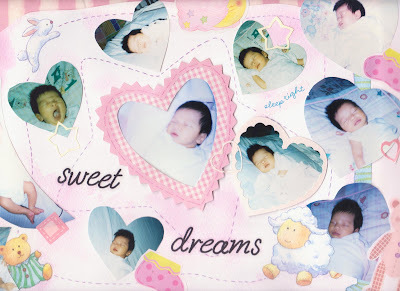 I was amazed by how our newborn Princess Angelica's sleeping pattern was different from my own. She slept most of the time but at night she would wake up frequently most of the time because she was hungry or needed to be changed. I was really sleep deprived during her first few months because I had to acknowledge her calls quickly or else she would be awake the whole night! Experts said that mothers should respond really quickly during the first two months because newborns were not capable of settling themselves back...it was true, because if I failed to come to her fast enough, she wouldn't get back to sleep...what she would do after being fed or changed was play the whole night through!!! so both of us would be awake! 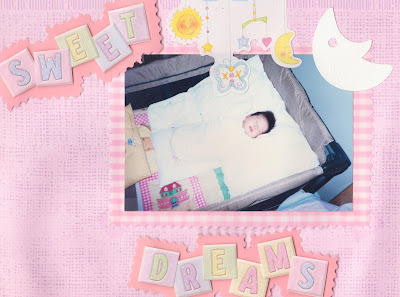 This blog site is like my daughter's closet...because in here you'll learn almost everything about my daughter, my princess! From the moment I felt her presence in my tummy up to this time in her life...everything that is worth writing for is found here...all the memories that I cherish so much!